Here we go again. The top 16 teams of the NBA square off in a 6 week long annual festival of professional basketball in the USA called ‘The Playoffs’. Although basketball is now played almost worldwide at the professional level, the National Basketball Association Playoffs are considered to be the games in which the best team in the world is crowned champions. It takes awhile. Each tier consists of a best of 7 series with travel days after two or three games so that each team plays at least two games before their own home crowd. Normally they will play two games in the city whose team has the best overall record, then take a day for travel, play two game away, take another travel day and finish off the series at home, if necessary. The powerhouses in the West should come as no surprise to anyone who follows professional basketball. The Golden State Warriors led by Seth Curry with an All Star supporting cast are once again the odds on favorites to win the NBA crown for 2019. As a matter of fact, the Warriors are the only NBA team going into the finals with negative numbers at -250. James Harden’s Houston Rockets seem to be the only other team in the West expected to be there for the final rounds of the playoffs this year. Las Vegas oddsmakers are listing the Rockets as +200 to win the Western Conference Championship and just +380 to win it all. That places them third behind the Warriors and the Milwaukee Bucks with only the Toronto Raptors remaining under +1000 at +650. Among teams making a strong showing at the beginning of the playoffs are the Boston Celtics who have just taken four games straight from Indiana to eliminate the Pacers for this year. The Philadelphia 76ers have so far looked very strong beating the Brooklyn Nets 3 out of the first four games and sitting pretty to advance to the next round. The Toronto Raptors are also off to a good start taking 3 out of 4 from the Orlando Magic after losing the first contest by three points. As expected, the Milwaukee Bucks have taken 3 in a row from the Detroit Pistons and sit poised to advance as well. The Warriors are out in front of their instate rivals LA Clippers though the Clips did take game two 135-131. Golden State is expected to move on along with the Portland Trail Blazers who are 3-1 up on the Oklahoma Thunder after the first four games of the series. What’s missing this year? For the first time in 14 years the NBA Playoffs are proceeding without super star LeBron James. Loads of pro star power still on the court, but no LBJ! Remember back in the old days when ‘going out to the ball park’ meant eating hotdogs, popcorn and cotton candy. You couldn’t even get a cold beer at most ball parks. Sporting events were sort of like camping trips where everyone dressed up warmly and fans often resorted to bringing their own food and beverages, especially ‘beverages’. Stadiums were mostly cold grey concrete structures everywhere under the seats and facilities were basic….at best. Guys with strong arms used to carry Cokes….in glass bottles….up and down the rows of fans….they sold you a coke, poured it into a plastic cup and lugged the empty bottles away. How times have changed! In the past ten years or so, America has gone ‘foodie’ crazy. Chefs have become international celebrities and cooking shows can be found at almost any time of the day or night. This sudden food consciousness has given rise to a significant upgrade in the quality of food that most of us consume daily. So the folks running Levi’s Stadium outside of San Francisco have raised the bar up a couple of more notches with what will be available to eat at their new beautiful stadium. In fact, they have dedicated over 17,000 square feet of space in the new stadium to feeding the sports fans in style. If you follow the food magazines, you have probably already heard of Chef Michael Mina. The Michelin stared Chef has been featured in such prestigious publications as Gourmet, Food & Wine and Bon Appétit as one of the best and most original young Chefs in the country. As it turns out, Michael Mina has been a huge San Francisco Forty-niner fan for many years…as well as a season ticket holder since 1991. When the team moved into its new facility the stadium managers brought in the popular Chef and gave him 17,000 square feet to work on with only one guideline…..”Make this place awesome”…..so he did just that. Levi’s Stadium probably now has the most exotic, most varied….and most expensive…. stadium food of all the existing NFL stadiums today. That was their goal to start out with. Where else can a season ticket holder purchase a $5,000 a year tailgate pass that allows them to graze among several first rate restaurants there at the stadium and enjoy a wide variety of gourmet grub at each stop. Now $5,000 may seem a bit high for a single season pass, but, remember, the deal includes all that you can drink as well. So, for some dedicated fans, it may turn out to be a bargain in disguise. 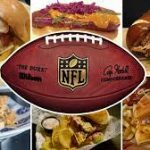 Actually, what transpired in Levi’s Stadium as the ‘cutting edge’ of stadium food has now become the norm in many upscale stadiums across the country, even to the point of holding food festivals and competitions before big sporting events. Chefs everywhere are competing with each other weekly to see whose next presentation can be more outrageous than their last, which was already pretty outrageous! So, Bon Appétit, and don’t forget the Tums! It’s time once again for the annual National Football League Draft of eligible players coming out of colleges and universities from across the United States and around the world. This year the ceremony will take place in Nashville, Tennessee on April 25-27, where 111 pro football hopefuls, the largest number of applicants ever, have announced their intentions to throw their respective hats into the ring and see what the market will bear. The majority of those applicants have been living in dormitories on meager allowances deemed appropriate by the Mark Emmert and the NCAA but which everyone else knows is not nearly enough to ever feel secure with. Now they are facing the possibility of changing all that for themselves, and usually their families as well into what most people only entertain as fantasy, an NFL contract. Some will go home rich, others will be bitterly disappointed. In order to be eligible for the NFL Draft, a player must be out of high school for at least three years. The deadline for upperclassmen to declare for the draft expired on January 14, 2019. So the stage is set. Everyone knows who, when and where, but endless speculation abounds about who goes where and in what order. It’s already been going on for months. The Mock Draft. An incredible amount of time and energy seems to go into this glorified guesswork. It surely takes up a lot of space in print, perhaps too much. One thing fixed on the agenda is the draft order. It might seem a great thing to have the number one draft pick. But what that actually means is that your team was the absolute worst team in the entire NFL last year, hardly a worthy distinction. But that is how parody is built in professional sports and it works to keep the teams on a more or less even keel and avoid allowing the team with the most money to buy the best players. Now the NFL Scouting Combines are over and done with and the seemingly endless discussion of who should go where become moot. It‘s time for each team to get down to the nitty-gritty task of actually picking the best available young player for their particular team. It’s no easy job and each team employs specialists for the duration of the process. Millions of dollars are spent. The Arizona Cardinals have the dubious distinction of having the first pick in the draft for 2019 followed by the San Francisco 49ers, the New York Jets and Jon Gruden’s Oakland Raiders. Due to the complicated practice of inter-team trading of draft picks, some teams, like the New Orleans Saints, do not even have a pick in the first round this year because they traded it away last year. 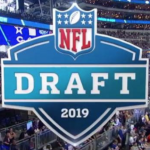 All the speculation and guesswork go out the window on April 25 when Commissioner Roger Goodell steps up to the podium and announces that the 2019 NFL Draft is officially underway. 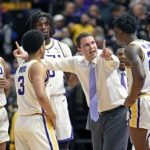 In the aftermath of the suspension of LSU head basketball coach Will Wade right before the SEC tournament, Joe Alleva, who served as athletic director for the Tigers for the past eleven years, will step down from the AD job at LSU to take up a position as ‘special assistant’ to LSU’s president F. King Alexander going forward. Alleva has been under fire for quite some time in Baton Rouge over various issues including the firing, in mid season, of head LSU football coach Les Miles in 2016 which, at the time, was an unpopular move for many Tiger fans. Alleva was loudly booed at the first basketball game after Will Wades suspension. Now the powers that be at LSU have decided to reinstate Will Wade as basketball coach and let Joe Alleva move on. The decision to return Will Wade came two days after the long awaited meeting between Wade and LSU officials which was also attended by NCAA officials. The successful second year basketball coach denied any wrong doing and apparently answered all questions satisfactorily. The Tiger basketball team, which was eliminated in the third round of the NCAA finals this year by Michigan State, remains in a state of flux as most of the LSU players from last year have now announced themselves available for the upcoming NBA draft. They have until the end of May to withdraw that availability and return to LSU for next season, which would make LSU fans very happy indeed. It is speculated that the reason that so many of them declared for the NBA was because of the instability of the coaching situation at LSU. With the return of Will Wade, hopes are high that most of last year’s young team will be back on the court for the 2019-2020 season. Who knows how far the Tigers could have gone in ‘March Madness’ had Wade been allowed to be with them there at courtside. It is still not clear weather Wade violated NCAA rules or not in the disclosed FBI wiretap. On the advice of his former lawyer, Wade refused to meet with LSU officials at time of the incident, which ultimately led to his suspension. Will Wade along with Arizona coach Sean Miller have been subpoenaed to appear in federal court in late April to testify about other college basketball irregularities in New York, although neither has been formally charged with any wrong doing. Somehow we have made the transition from shady basketball recruiting practices being a NCAA problem to now having become the basis for criminal violations involving the FBI. It seems like those folks would have more important things to do. There were 25,000 fans crowded around the greens and most of them were there to try and catch a glimpse of just one particular golfer at the 2019 Masters Tournament in Augusta, Georgia, that would be four time Masters winner and overwhelming crowd favorite Tiger Woods. Stepping onto the lush campus at Augusta National after not having won a PGA major in over 11 years, Tiger Woods was not the favorite. In fact he teed off at 14 to 1 but there were myriad other wagering opportunities including match-ups and live betting on each hole. It was a great day for bettors! 2019 was the first of Tigers five Masters Tournament victories where he did not hold the lead at the end of 54 holes, after the third day of tournament play. Then he bogeyed the 4th & 5th holes and deflated the hopes of his many fans. But they hung in there, and so did Tiger Woods. The final day of play started with impending thunder storms predicted, but another kind of storm had arrived at Augusta National. Even halfway through the final round most golf fans didn’t really think that Woods would win. Tiger’s doing great, he will place well, but he can’t win. Can he? Tiger didn’t even take over the lead until the 16th hole. That’s when the buzz started. You could feel it even watching on TV. A combination of tension, excitement and absolute wonder took over the Augusta National Golf Course after the 16th hole and it built until Tiger finally holed the winning putt on the 18th green a short time later and the buzz became a roar. Never in most of our living memories has any one sports figure garnered such a following and delivered in such a huge fashion as Tiger Woods did at Augusta National this year. Awesome and spectacular seem inadequate for the occasion; plum damned inspiring is what it was. What a comeback! 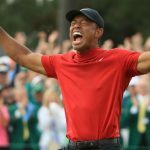 Even the guys at William Hill U.S. SportsBook in Las Vegas stepped up to congratulate Tiger Woods on his impressive victory, although their smiles might have been a bit painful as they were handing over a check for $1,275,000 to a bettor who had put down $85,000 on Woods to win the Masters at 14-1. It is almost too ironic that the man who placed that 85 grand on Tiger Woods claims that it was the first time he had ever wagered on sports in his life. The sportsbook released a statement to the press, “It’s great to see Tiger back. It’s a painful day for William Hill-our biggest loss ever-but a great day for golf”.